You are here: Home / Fun Activities For Kids (By Age) / Activities for Babies / Keep Baby Stimulated With 30+ Busy Activities for 1-Year-Olds! 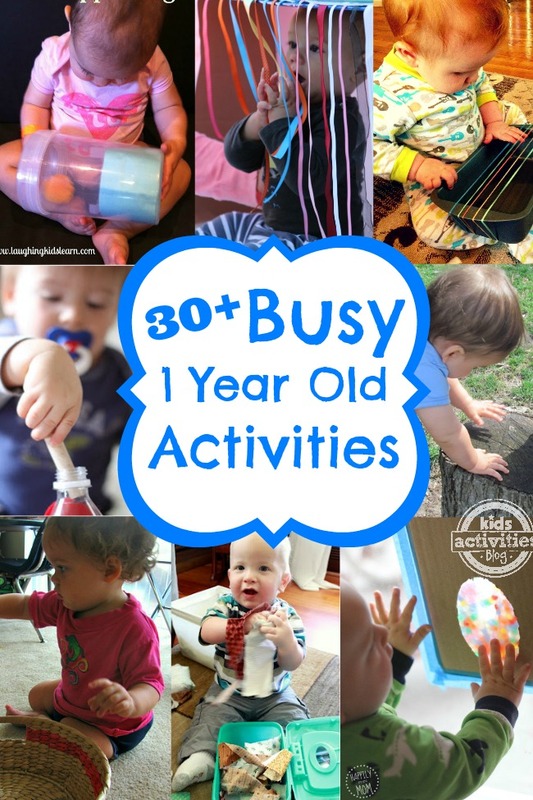 I am constantly on the search for “Busy” 1-Year-Old Activities for my baby! He just started walking, and wants to move and play all day long. I want to do everything I can to help encourage his development, and processing of the world around him, with fun learning activities! 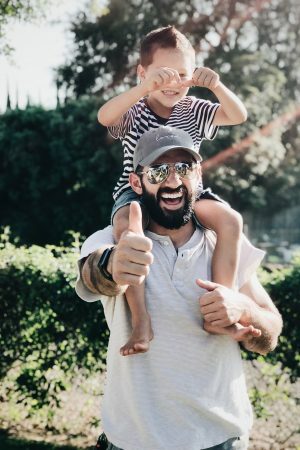 Throughout my search, I’ve complied this list of Busy Activities for 1-Year-Olds that will give you ideas for the entire month and beyond! 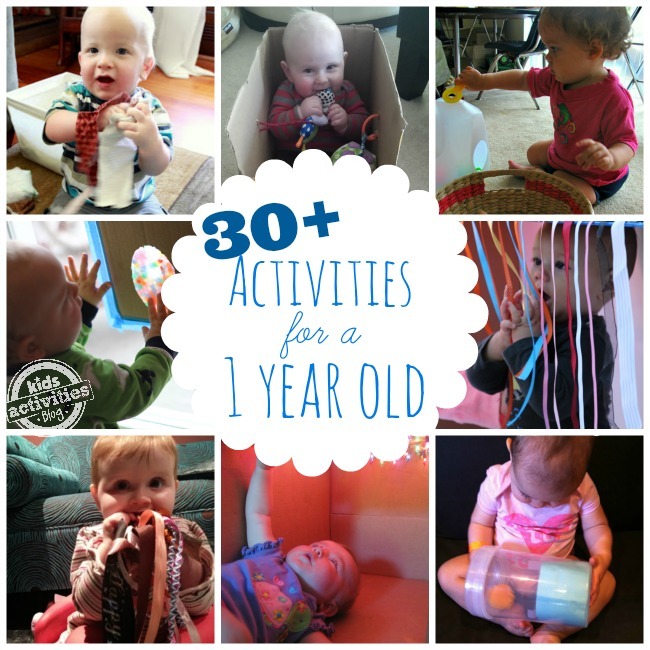 Busy Activities For 1-Year-Olds: To Little Ones, Anything Can Become A Game! Keep your cleaned-out cardboard boxes, milk jugs, and containers handy, because many of these Busy 1-Year-Old Activities involve items that you already have around the house! Stack recycled cups up and let baby knock them down with this educational idea from And Next Comes L.
Get a ball pit! This easy-fold baby play area is perfect because it’s so much fun, and takes up no space when it’s not in use! 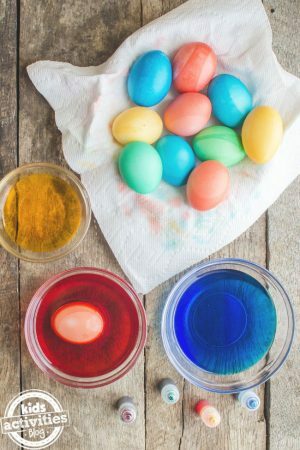 Make an easy game with an empty container and plastic eggs with this fun activity from Happily Ever Mom! Save your fabric scraps to make a quick and easy game, from Hands on: As We Grow. Check out this idea from I Can Teach My Child, and then grab some felt to make a peek-a-boo house! Baby won’t stop giggling with this tickling game from Adventures at Home with Mum! 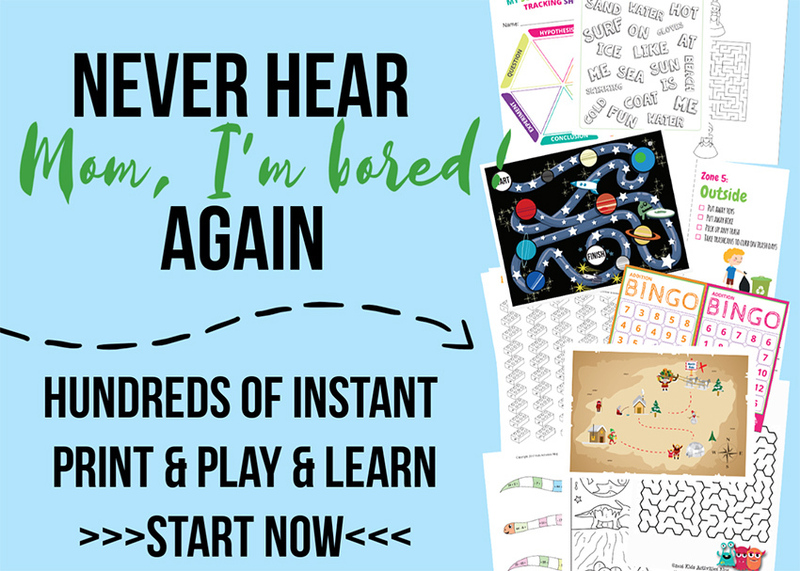 Learn with Play at Home has the coolest way to show babies cause and effect. Make a ramp, and watch things roll! This ball and tube play from Octavia & Vicky keeps baby standing and having fun. 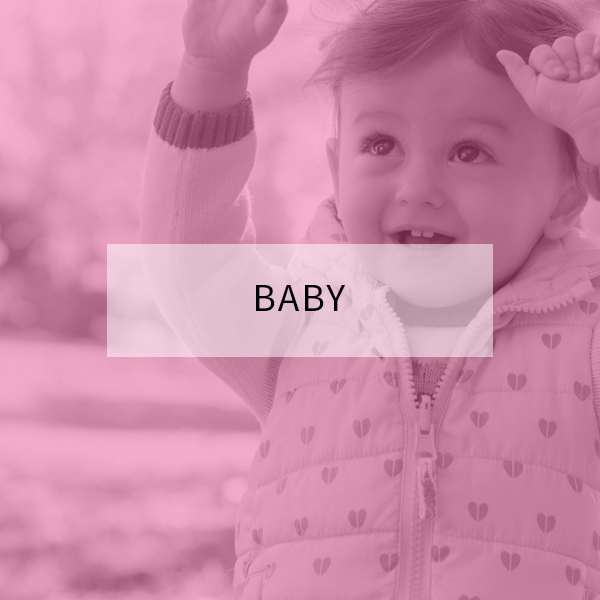 Encourage babies to walk and move with How Wee Learn‘s simple baby games. Make your own pull along box for baby with this idea from Pink Oatmeal. Busy Activities For 1-Year-Olds: Problem Solving Is Fun! Problem solving is an important skill in day-to-day life that we take for granted, when it’s really a fun game! 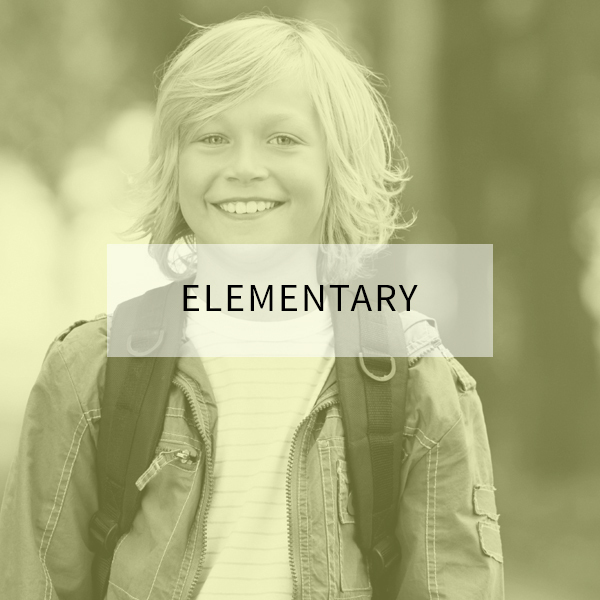 Re-purpose a milk jug to make a discovery game with this fun game from All Our Days! Make your own baby toy with this Elsa-approved snowflake drop! Make a peek-a-boo puzzle with family photos with this sweet idea from Nurture Store. Babies will wonder, “Where did it go? !” with Laughing Kids Learn‘s disappearing act! Try out this idea from Danya Banya, and make an activity box for baby. Capture baby’s interest with reflections in the window from Mama Smiles Joyful Parenting. Give them a tunnel to play in. My little one just adores this fun toy! 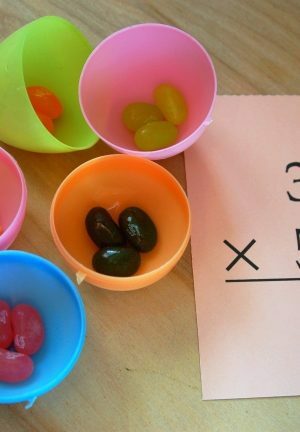 Grab some bouncy balls and a muffin tin for this brain building baby play, from Sugar Aunts. Make a clothespin drop with an old container with this fun learning game from I Can Teach My Child. Babies are naturally curious. It is so rewarding to see the little light that flashes in their eyes once they learn something new! These Busy Activities For 1-Year-Olds focus on nurturing their curiosity! Make a toy that siblings can decorate for baby! Keep baby splashing in the sun with this water sensory bin, from Toddler Approved. We’re loving this cardboard box tunnel with socks, from The Imagination Tree! How sweet is Where Imagination Grow‘s star box sensory play for infants? I want to curl up in there, with my little one, and a book! Rock out when you make baby their very own guitar, from House of Burke. 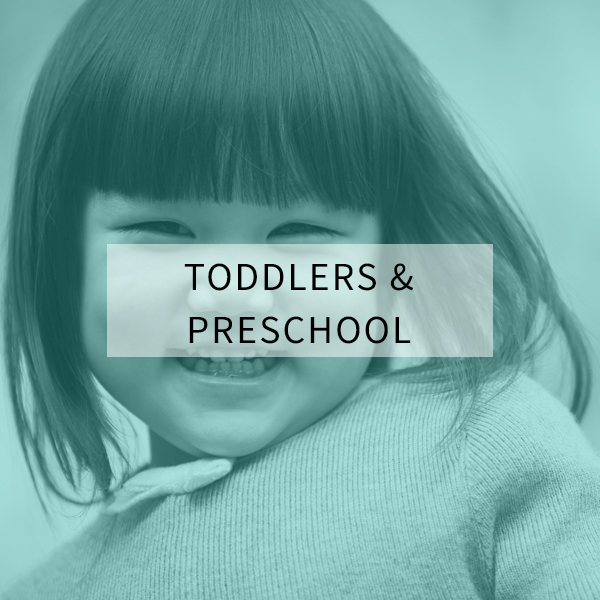 Busy Activities For 1-Year-Olds: Sensory Fun! 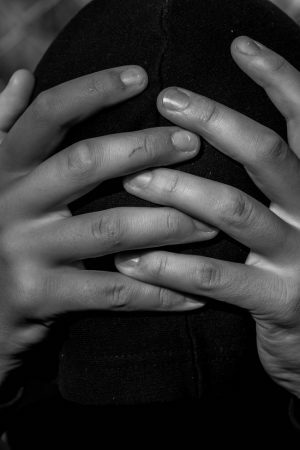 I’ll never forget the day my baby discovered his hands! Our whole family gathered around, smiling down on his purse happiness and amazement. 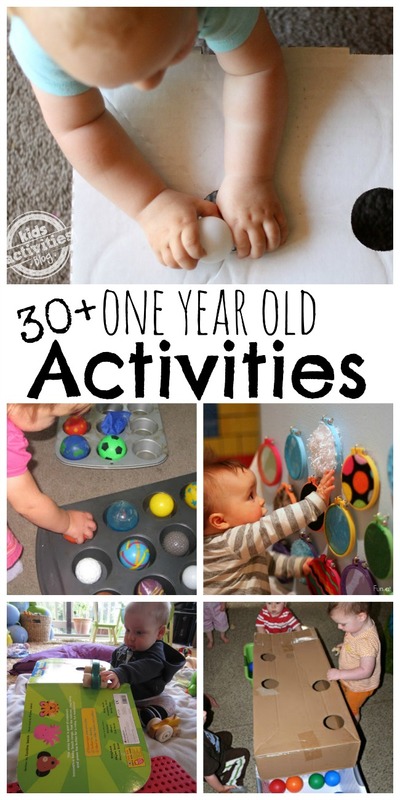 Keep that kind of fun and learning going with these fun Busy Activities For 1-Year-Olds! Make a gorgeous textured wall for baby to explore with this creative idea from Fun at Home with Kids. Hang a squishy bag in the window to touch and to explore! Check out the instructions from Paging Fun Mums. Meri Cherry Blog has the right idea for a quick and fun activity: use cardboard boxes for these adorable sensory boxes! 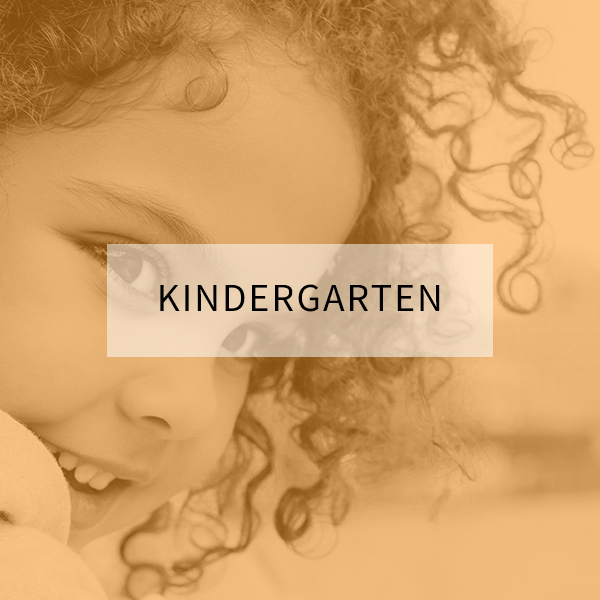 Get outside and take baby for a texture walk, inspired by Teach Preschool. Make a DIY touch and feel board for baby to explore with this idea from Happily Ever Mom. Teach Me Mommy‘s velcro and pom pom play idea will keep your baby playing for hours! Playing in the bathtub with bath sponges is a classic childhood memory in the making! 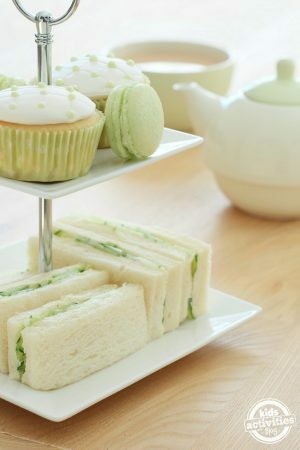 Loving this idea from Frogs and Snails and Puppy Dog Tails! 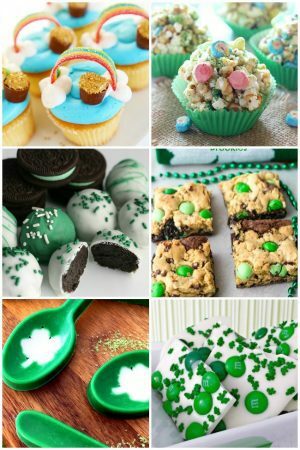 If you loved these 1-year-old activities, hop on over to our Facebook page and tell us which one was your favorite! Hi! It would be great if you could put under each game / activity idea also an image of it, in order to evoid clicking everytime on the link for the external website. In this way we could decide which game is more appealing for us and only click those.